Calcium has been long established as an essential micronutrient needed in fairly large amounts on a daily basis. The current Recommended Dietary Allowances (RDAs) for adults are in the range of 1000 to 1200 mg per day published by a committee of the Institute of Medicine (IOM), an increase over the adult RDAs of 800 mg per day up to approximately 1980 . In other nations and the World Health Organization (WHO), the recommendations may be as low as 500 mg per day. Median U.S. adult intakes range between 900 and 1300 mg per day, with approximately 50% of adults taking calcium supplements . Acceptable adult intakes of total calcium from foods and supplements may be as low as 600 mg per day, but balance study data suggest that 700 to 800 mg per day may be most optimal . Concerns arise when intakes are too low (<600 mg per day) or too high (>1400 mg per day). Insufficient intakes typically contribute to suboptimal skeletal development, i.e., bone mass, whereas excessive intakes may result in soft tissue calcification and renal stones. The relation between calcium intake and soft tissue calcification, specifically coronary artery calcification, remains controversial . The purpose of this article is to review the current findings of recent research investigations and summary guidelines relevant to the issues of bone mass, soft tissue calcification, and renal stones, particularly of older adults. A recent longitudinal bone study has shown that calcium intakes of older adults  do not need to be much higher than 800 mg per day for optimal bone density measurements and low fracture rates, whereas intakes greater than 1200 mg per day result actually result in a greater rate of fractures. Another cross-sectional report of U.S. National Health and Nutrition Examination Survey data for 2005-2006 demonstrated that bone measurements of 50 to 80 year-olds were not related across a wide range of mean calcium intakes by quintiles from low to high total intakes of approximately 500 to 1200 mg per day . Two recent meta-analyses also reported that calcium supplements had essentially no benefit in terms of reducing skeletal fractures  or in improving bone mass or density . These two reports published in the BMJ have amassed a powerful argument against both supplements and high intakes of calcium from foods in a varied diet . A U.S. Preventive Services Task Force report  has commented that supplements of calcium and vitamin D are not recommended for the prevention of fractures. The Task Force recommends getting calcium from foods, including fortified foods. In summary, a general consensus now supports the benefit of consuming a balanced diet that contains sufficient amounts of calcium. Food choices selected need to provide the recommended amount of calcium each day. Excessive calcium intakes from all sources, both dietary and supplemental, have been suggested by some, but clearly not all, investigators to increase the risk of coronary artery calcification (CAC) and calcifications in other soft tissues, especially the brain. A direct linkage between total calcium intake and CAC has been difficult to establish, despite the fact that almost 50% of older adults, i.e., beyond 50 years, have some CAC established by computed tomography . Prospective investigations are needed to establish a diet calcium- CAC link or not. If a direct link does exist, it likely contributes to potential calcifications in the brain, kidneys, and other soft tissues. Renal stones have long been associated with high calcium intakes, including supplements, even though other factors contribute to kidney stones. Most stone-formers develop hypercalciuria because of excessive intestinal calcium absorption or because of familial contributions that enhance renal calcium excretion. The Women’s Health Initiative (WHI) is the latest major report showing an increase in renal stones in WHI women subjects taking calcium supplements, but the numbers who reported having stones were small . A link between renal stone formation and vascular calcification has also been suggested . Low-calcium intakes of individuals living in arid parts of the world, however, have also been reported to have renal stones, which suggest that specific genetic factors may increase risk independently of calcium intake. Because of the long-term consumption patterns of diets containing total calcium amounts greater than 1400 mg per day from foods and supplements, women (not men) are at increased risk of death from all causes, including cardiovascular disease with the exception of stroke . Further investigation of this important relationship is needed, but the suggestion that more calcium, especially from supplements, is better for bone health and possibly other aspects of health is not supported by recent evidence. A recent prospective study of older adults in Australia, however, provided data suggesting that calcium intakes of up to 1348 mg per day were associated with lower risks for fractures, cardiovascular diseases, and all-cause mortality . Calcium intake was assessed by a food frequency instrument. Supplemental calcium data were not collected so that total calcium intake could not be calculated. This report of a large number of older men and women is not in accord with the findings of elderly Swedish subjects  and other reports . 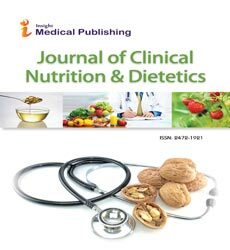 Institute of Medicine (2011) Dietary Reference Intakes: Calcium and Vitamin D. The National Academies Press, Washington D.C.
Bailey RL, Dodd KW, Goldman JA, Gahche JJ, Dwyer JT, Moshfegh AJ, Sempos CT, Picciano MF et al. (2010) Estimation of total usual calcium and vitamin D intake in the United States. J Nutr 140: 817-822. Hunt CD, Johnson C (2007) Calcium requirements: new estimations for men and women by cross-sectional statistical analyses of calcium balance data from metabolic studies.Am J ClinNutr 86:1054-1063. Nordin BEC, Lewis JR, Daly RM, Horowitz J, Metcalfe A, Lange K, Prince R et al. (2011)The calcium scare: What would Bradford Hill have thought? OsteoporosInt 22:3073-3077. Warensjo E, Byberg L, Melhus H, Gedeborg R, Mallmin H, Wolk A, Michaelsson K (2011) Dietary calcium and risk of fracture and osteoporosis: prospective longitudinal cohort study. Br Med J 342: d1473. Anderson JJB, Roggenkamp KJ, Suchindran CM(2012) Calcium intakes and femoral and lumbar bone density of elderly U.S. men and women: National Health and Nutrition Examination Survey 2005-2006 analysis. J ClinEndocrinolMetab 97: 4531-4539. Bolland MJ, Leung W, Tai V, Bastin S, Gamble GD, Grey A, Reid IR et al. (2015) Calcium intake and risk of fracture: systematic review. Br Med J 351: h4580. Tai V, Leung W, Grey A, Reid IR, Bolland, MJ(2015) Calcium intakes and bone mineral density: systematic review and meta-analysis. Br Med J 351: h4183. Michaelsson K (2015) Calcium supplements do not prevent fractures. Br Med J 351: h4825. Moyer VA (2013) Vitamin D and calcium supplementation to prevent fractures in adults: US Preventive Services Task Force. Ann Int Med 159:691-696. Reid IR,Bolland MJ, Avenell A, Grey A(2011) Cardiovascular effects of calcium supplementation. OsteoporosInt 22:1649-1658. Jackson RD, Lacroix AZ, Gass M (2006) Calcium plus vitamin D supplementation and the risk of fractures. New Engl J Med 354: 669-683. Shavit L, Girfoglio D, Vijay V, Goldsmith D, Ferraro PM, Moochhala SH, Unwin R et al. (2015) Vascular calcification and bone mineral density in recurrent kidney stone formers. Clin J Am SocNephrol 10:278-285. Michaelsson K, Melhus H, Warensjo LE, Wolk A, Byberg L (2013) Long term calcium intake and rates of all cause and cardiovascular mortality: community-based prospective longitudinal cohort study. Br Med J 346: f228. Kahn B, Nowson CA, Daly RM, English DR, Hodge AM, Giles GG, Ebeling PR et al. (2015)Higher dietary calcium intakes are associated with reduced risks of fractures, cardiovascular events, and mortality: A prospective cohort study of older men and women. J Bone Miner Res 30: 1758-1768.